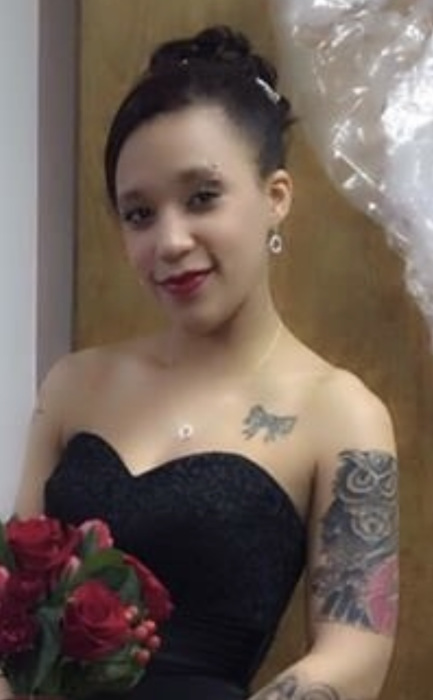 Obituary for Victoria Noelle Chew | Joynes Funeral Home, Inc.
Victoria Noelle Chew, 24, of Gainesville, VA, passed April 1, 2019, at Inova Fairfax Hospital, Falls Church, VA. She was born on January 6, 1995. Victoria is survived by her mother, Cherie A. Spates of Gainesville, VA; her father and step mother, Jonathan and Amanda Chew of Gainesville, VA; her fiancée, Jarohn M. Grayson of Gainesville, VA; eight sisters: Jasmine Chew of Gainesville, VA, Keara Craig of Gainesville, VA, Lauren Joback of Manassas, VA, Lindsey Parnarouskis of Manassas, VA, Hannah Tibbs of Gainesville, VA, Lily Tibbs of Gainesville, VA, Kimmie Tibbs of Gainesville, VA, Deangela Tibbs of Gainesville, VA; two brothers: Marcus (Ashley) Chew of Portsmouth, VA and Justin Tibbs of Gainesville, VA; grandparents: Juanita and William Milligan, Wayne and Katherine Mason, Alice Chew, Earl and Gwen Marshall and William and Margaret Cole; great grandmother, Evelyn Edmonds; nieces and nephews: Kaiya, Faith, Jalyn, Kingston and Kamiya. Family will receive friends on Saturday, April 6, 2019, from 12 pm until 1 pm with funeral services starting at 1 pm at Oak Shade Baptist Church, 3287 Old Catlett Road, Catlett, VA, 20119. Rev. W. Leon Jackson will deliver the eulogy. Interment will be in Baker-Marshall Family Cemetery, (Walnut Grove Baptist Church) Warrenton, VA.